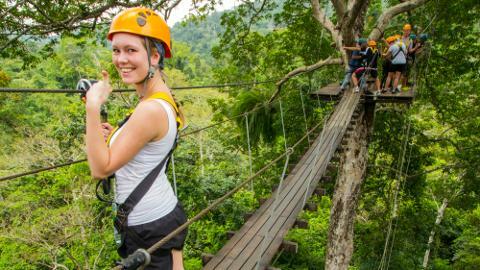 Venture into the lush Thai rainforest for a zipline adventure in the spectacular surroundings of the Khao Kheow Open Zoo. 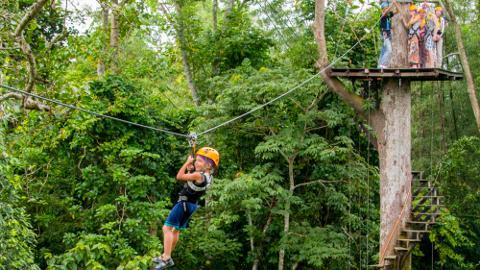 See the scenery from the treetops as you glide along the 1.8-mile (3 km) course on a thrilling ride that gives you a unique look at the jungle. 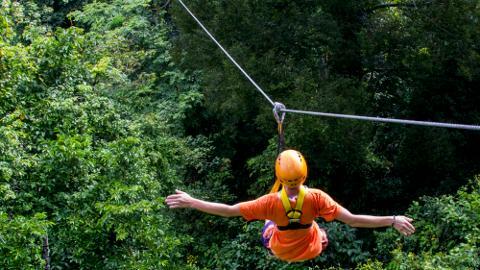 After an hour’s drive from Pattaya in a comfortable, air-conditioned van, you can immerse yourself in rainforest scenery. Bordered by the protected Chompoo Wildlife Sanctuary, the site gives you a look at the lush jungle, flowers and wildlife that thrive along the course as your guides get you acquainted with the course and your equipment. With its longest line reaching more than 980 feet (300 m) in length, the course offers a thrilling adrenaline rush that you’ll never forget. 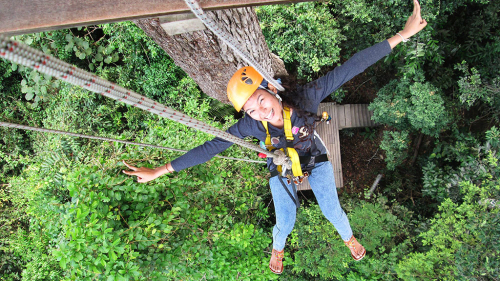 Zip, fly, climb, crawl and swing through this amazing treetop obstacle course – with 24 different platforms, 2 hanging sky bridges and 2 abseil descents to choose from. 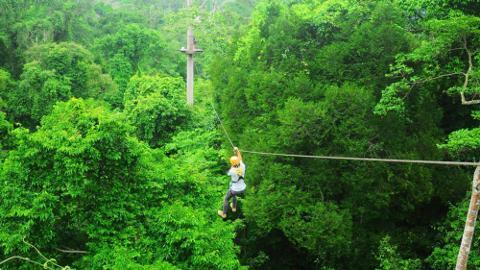 The activity is located about a 1-hour drive from Pattaya. Hotel pick-up is available from most centrally located Pattaya hotels. Please arrange pick-up from your hotel or a nearby location when you call to confirm your reservation. Pick-up is 30-45 minutes prior to the booked tour start time.